"The Burglar's Dilemma" is a short drama directed by D.W. Griffith. The film is included in our program to illustrate the work of two of our stars: actor Robert Harron and cinematographer Billy Bitzer. 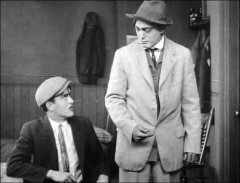 A burglar is framed for murder. 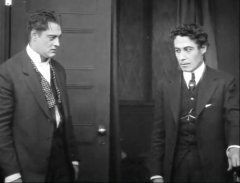 Lionel Barrymore and Henry Walthall are the successful man and the weakling brother in "The Burglar's Dilemma" (1912), directed by D. W. Griffith, cinematographer Billy Bitzer. 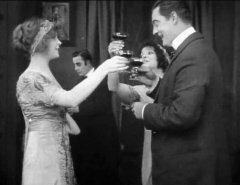 Lillian Gish raises a toast for Lionel Barrymore in "The Burglar's Dilemma" (1912), directed by D. W. Griffith, cinematographer Billy Bitzer. 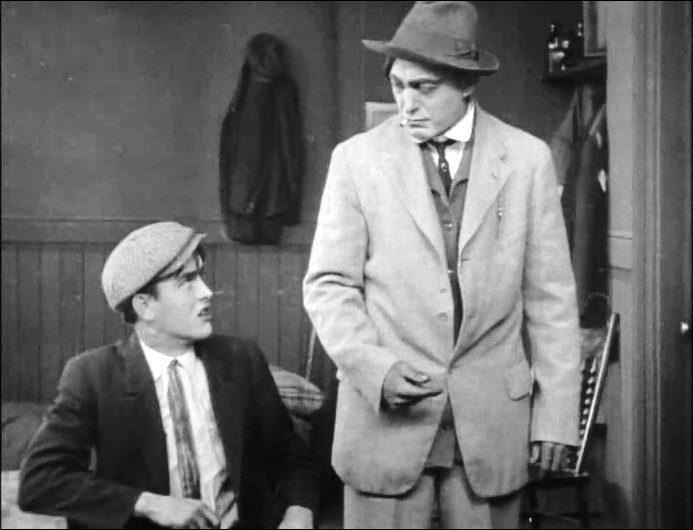 Robert Harron and Harry Carey are the young burglar and the old crook in "The Burglar's Dilemma" (1912), directed by D. W. Griffith, cinematographer Billy Bitzer. 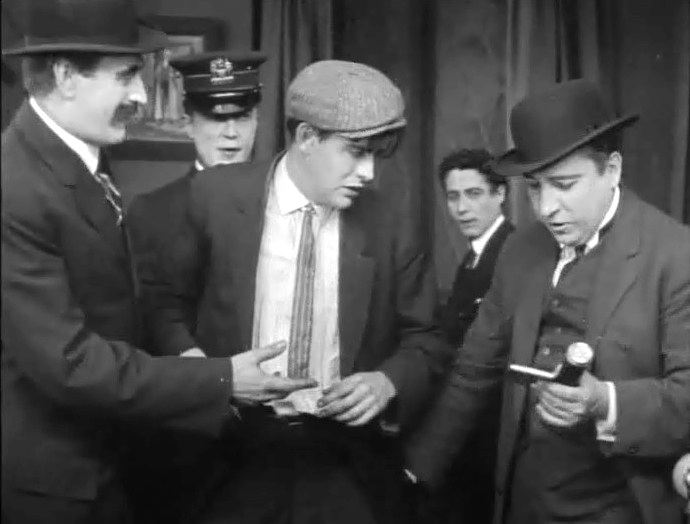 Robert Harron is searched by police as Henry Walthall, who framed him, looks on from behind in "The Burglar's Dilemma" (1912), directed by D. W. Griffith, cinematographer Billy Bitzer. 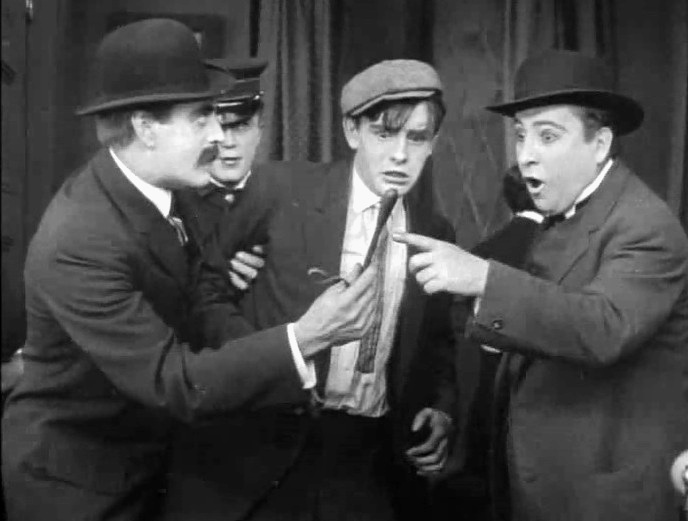 Robert Harron is confronted by police with what they believe is the murder weapon in "The Burglar's Dilemma" (1912), directed by D. W. Griffith, cinematographer Billy Bitzer. 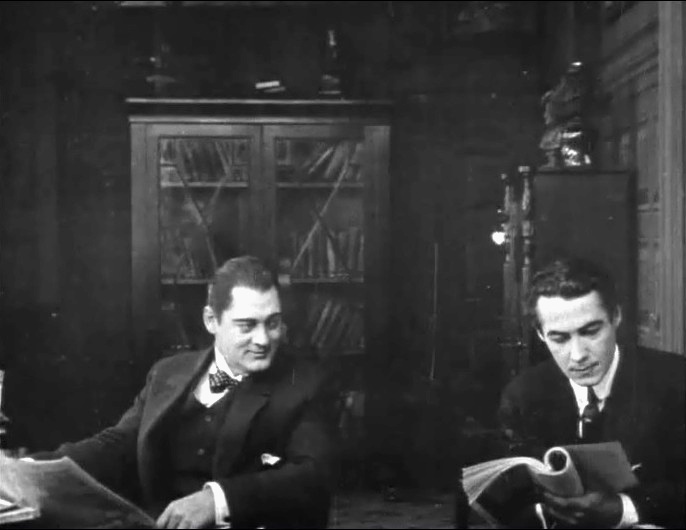 Lionel Barrymore and Henry Walthall meet again after the dust settles in "The Burglar's Dilemma" (1912), directed by D. W. Griffith, cinematographer Billy Bitzer.